Well summer is beginning to heat up and I am sure some of you are having hot weather. Can't say we get "hot" up here, but 70 degrees for us is pretty hot. We get a few 70 degree days a year usually in July. 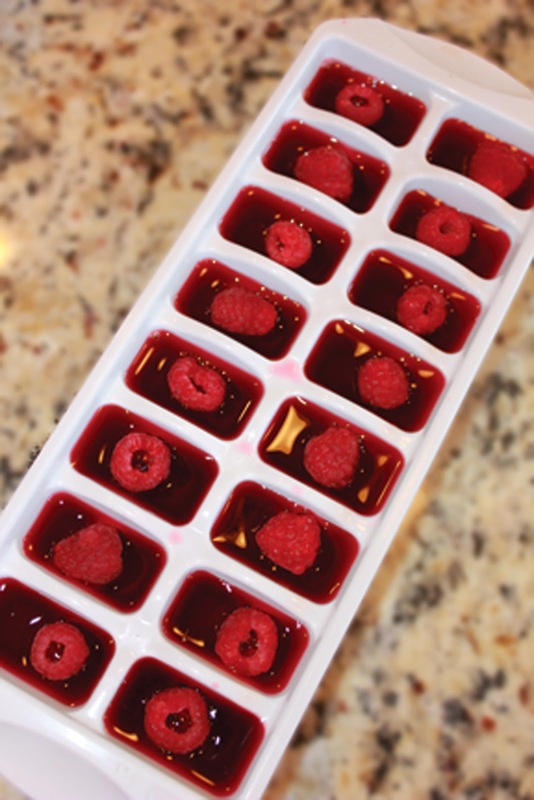 So if you are needing to cool off from the heat, why not try this treat. It is Lemonade with Berry Ice cubes. It came from Spoonful courtesy of Disney. * 1 11.5oz can frozen concentrate berry juice. You can use a mixed berry juice if you like. * Raspberries or sliced strawberries. * 2 quarts+ of water. * 1 1/3 cups sugar. * 1 1/3 cups lemon juice. * lemon slices if desired. 1. Combine the juice concentrate and one can of water in a pitcher. 4. Combine the 2 quarts of water and sugar in a medium size sauce pan. 5. Bring to a boil, stirring to combine sugar and water until dissolved. 6. 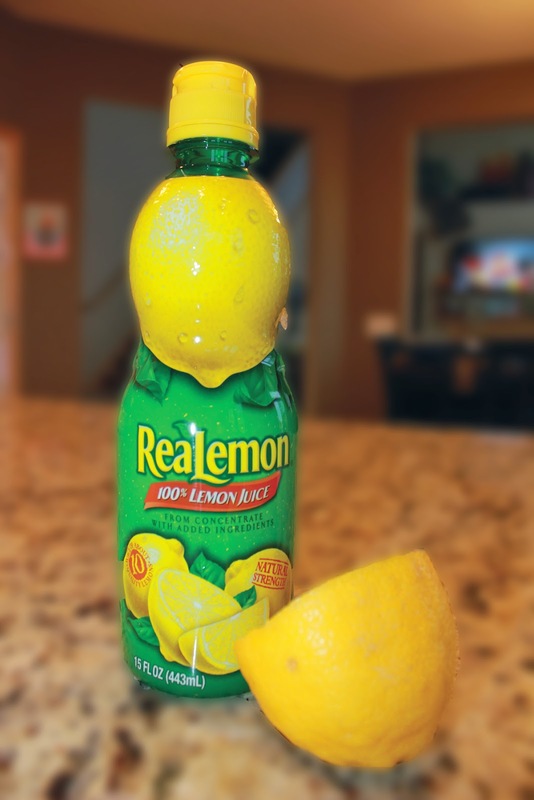 Combine the lemon juice with the sugar water. Chill. 7. 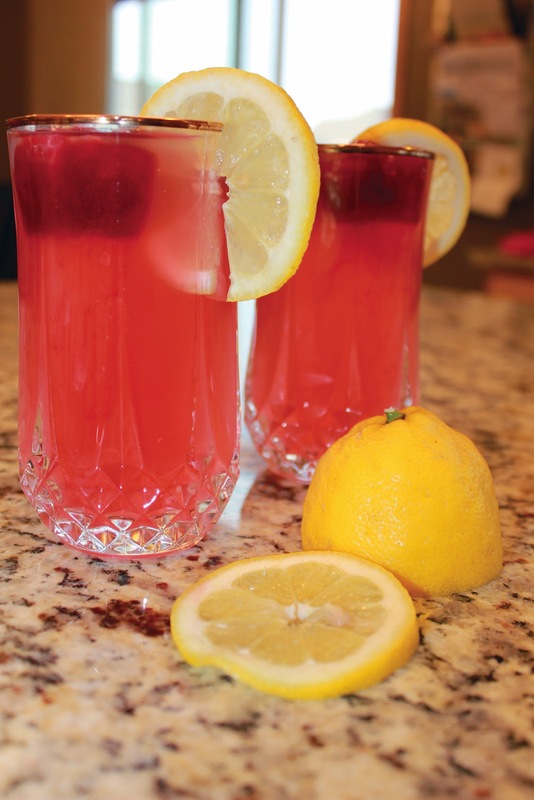 Put three berry ice cubes into a glass and pour lemonade in. 8. Garnish with a lemon slice if desired.